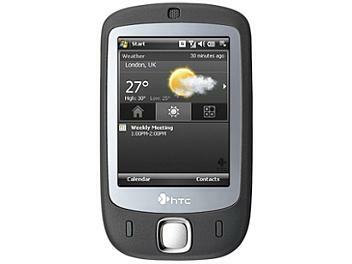 The successor to a category-defining original... the HTC Touch 3G propels you even further into the touch experience, making voice and text communication, web browsing and media playing more pleasurable than ever before. Take finger-tip control of the HTC Touch 3G with next-generation TouchFLO, a touch-responsive interface designed to respond perfectly to finger gestures and help you navigate seamlessly through contacts, media and web pages with speed and precision. This isn't the web compromised for mobile... it's the web as you always wanted it be on a mobile. Browse full-screen pages delivered at broadband-speed, all displayed on a large, razor-sharp screen for an unparalleled mobile internet experience whenever you call upon it. A perfect marriage of technical innovation and eye-catching design, the HTC Touch 3G's looks are just as striking as its Internet credentials... a range of hot colours are available that enhance the modern, lightweight shape, making it both a sensational user experience and a bold declaration of style. Touch with more passion than ever before... style, sensation and speed. Experience Touch in 3G. Powered by Windows Mobile 6.1 Professional. Next generation TouchFLO user interface, responding perfectly to your finger gestures when scrolling through contacts, browsing the web and launching media. Small, lightweight design available in a range of vibrant colours. Surf and download at broadband speed with HSDPA internet connectivity. 3.2 megapixel camera for quality stills and video. microSD slot for expandable storage.